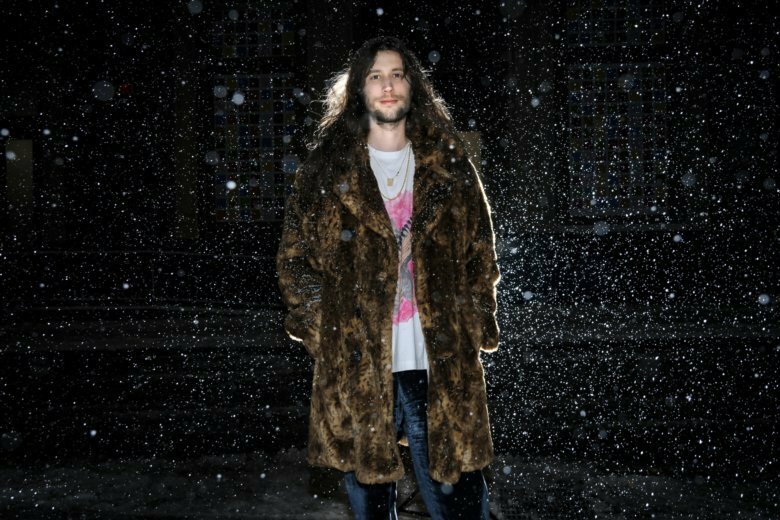 NEW YORK (AP) — He’s had his hand in two of the year’s biggest pop culture moments — with the film “Black Panther” and the song “This Is America” — but unlike Michael B. Jordan or Childish Gambino, Ludwig Goransson can easily walk down the street like a regular dude. At just 34, the talented and skilled composer from Sweden is having the best year of his career. He completed the film score for the uber-successful “Black Panther,” even traveling to Senegal for three weeks and South Africa for a week to learn about African music and work with local musicians. He earned three nominations at this year’s Grammy Awards for his production and songwriting work on Gambino’s 2016 album, “Awaken, My Love!,” and the duo reached even greater heights with the epic “This Is America” — and its heralded video — which went viral and became an instant No. 1 smash in May. Goransson also composed music for “Venom,” released last month, and returned to the “Creed” franchise to do its film score (“Creed II” hits U.S. theaters on Wednesday). “It definitely feels like I’m living a dream. But I try not to pinch myself because I don’t want to wake up,” the long-haired, easygoing musician said, sitting comfortably on a couch at a hotel in New York City. Oh, and he’s even worked with Beyonce and Jay-Z. Goransson is clearly booked, and busy. He worked for months on “Creed II,” starring Jordan, Sylvester Stallone and Tessa Thompson, saying the franchise “is so close to my heart” because the 2015 film was one of the first studio features he composed music for. Goransson moved to America to study at the University of Southern California over a decade ago, where he met Ryan Coogler and composed music for the director’s student film. When Coogler directed the critically-acclaimed independent, “Fruitvale Station,” he called on Goransson. “Creed” and “Black Panther” soon followed. He got a job assisting composer Theodore Shapiro — first working on the 2008 comedy “Tropic Thunder” — after graduating from USC. Shapiro’s busy schedule wouldn’t allow him to compose music for a then-new TV series called “Community,” which debuted in 2009. So he recommended Goransson. “They gave me a chance,” Goransson said. It was where he met Gambino, then mainly known as Donald Glover. Working on a song together for the show led to Goransson and Glover trading ideas about for Gambino’s 2010 mixtape, “Culdesac.” They have worked tightly ever sense. “It’s a similar journey that I did with Ryan (Coogler). We started on a mixtape, then we started on a smaller project. What’s really fun, working with Donald, is he’s such a Renaissance man. You never know where he’s going to go, what he’s going to do. Every project is musically very different from each other, but I still feel like they’re emotionally very connected,” said Goransson, who has also produced for Chance the Rapper and HAIM. Alongside Gambino, Goransson earned Grammy nominations for album of the year for “Awaken” and record of the year and best R&B song for the hit, “Redbone.” The song won Gambino his first Grammy — best traditional R&B performance — a category only awarded to performers, not producers or songwriters. But this awards season, Goransson is looking like a white-hot contender, from the Grammys to the Oscars, thanks to “Black Panther” and “This Is America,” which he and Gambino started working on three years ago. “He didn’t have to do that. He could have stayed at home and done the research. But he … really dove in to an extraordinary degree and that commitment clearly came out in the music that he wrote,” he said. Shapiro said apart from being talented, Goransson is simply a fun and kind dude. “He has this easy confidence about him that is really magnetic, but also a real kindness to him, and that’s an incredible combination. And obviously it draws people to him and makes them want to collaborate with him,” Shapiro said.